Bella loves the sights and sounds of fall--the crinkle-crackle of fallen leaves, the crunch of crisp, red apples, the honking and flapping of migrating geese. She wants the season to last forever. She also wants her fall coat--the one her Grams made especially for her--to last forever. But the coat is worn-out and too small.... With a snip and a whir, Grams makes sure Bella will be warm when the first snowflakes fall. And Bella finds a perfect use for her old favorite coat--on the first snowman of the season. 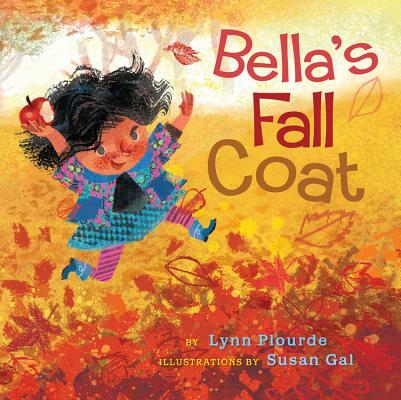 Adorned with beautiful fall oranges, reds, and yellows, and sprinkled with fun sound words, this read-aloud will help families celebrate both fall and winter.